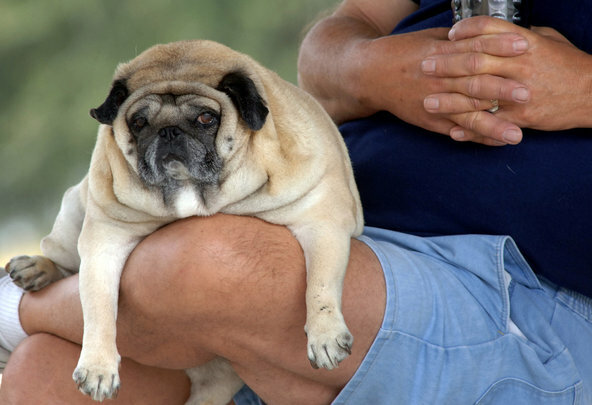 disease is highly manageable and can be controlled with proper veterinary care. 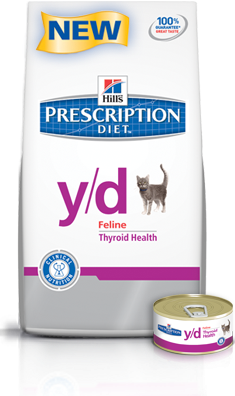 director of clinical research at Hill’s Pet Nutrition, Inc.
need to perform tests for these diseases to ensure an accurate diagnosis. or surgery to remove thediseased thyroid tissue. therapy is an appropriate management option for your cat. This entry was posted in Hyperthyroidism, y/d on December 27, 2012 by yourfriends. Watched your cats bossing each other around? One of them is probably top cat. Find out why. If you have more than one or two cats and are an astute observer of feline behavior, you’ve noticed that cats do seem to adhere to established feline social structures. 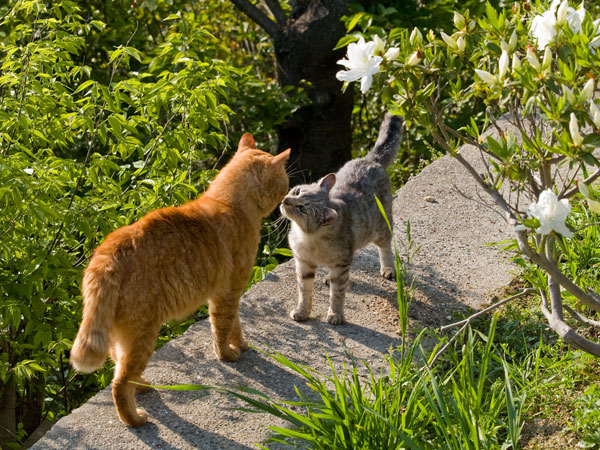 One of your cats may have “Alpha Cat” status, with other cats deferring to him. You may find pairs of your cats choosing to relax in proximity to each other to the exclusion of other cats, and each of your cats may have established her own “territory” however small it may be. Traditionally, Cats Were Not Thought to Be a Social Species until fairly recently, cats were not thought to be a social species. A social species is one whose members form “stable relationships,” as dogs do within their packs. For years, scientists considered lions to be the only true social cats with a hierarchical structure within their prides. Later, they discovered that cheetahs and bobcats had unique social structures, and more recently, that the domestic cat family (whether feral or house cats) has an established social hierarchy. Although some cats require a solitary lifestyle, others are content to live in small groups, particularly if all of the cats are neutered. Many pet cats thrive in the company of other cats especially if they have grown up among other cats. Though its ancestors may have led asocial lives, the domestic cat has evolved into a far more sociable animal both in a feral and a household setting. Feral Colonies Exhibit a Complex Matriarchal Hierarchy. In the years since those early studies, scientists studying the social behavior of cats have found that domestic cats, like lions, are definitely social cats with established cat social structures including complex matriarchal hierarchies similar to the lion prides. In feral colonies, observers have noted that related females in colonies are sometimes bonded so closely that they will den together when birthing, act as midwives for each other, and nurse each other’s kittens, with kittens being raised cooperatively by all of the females. The mothers even join forces to drive off intruders and threats to the colony, including fighting off tomcats seeking to kill kittens so that the females can be brought back into estrus. House Cats Also Follow a Social Hierarchy. In multicat households, domestic cats also adhere to a hierarchical structure, although it’s more complex. In neutered colonies, the feline buddy system is not restricted to closely related cats and there seem to be no gender preferences. Studies over the last 30 years suggest that cats develop complex matriarchal hierarchies and that they have preferred buddies. Even strictly indoor cats have both hierarchy and territories. For example, you may have a cat who rules the couch, and another who favors the love seat, and neither will cross into the other’s kingdom unless they are bonded pairs. Upheavals occur when a new cat joins the household and must carve out a new territory for himself. This usually requires that the resident cats adjust their boundaries, sometimes by force. When a cat in the household dies, her old territory will be annexed by another cat, usually the next one down in the hierarchy. Behavior patterns in a household of cats may change when another dies or leaves. A shy cat may assume a higher spot in the hierarchy and adopt behaviors consistent with that higher status. Rubbing Establishes Hierarchy. How often does your cat greet you by rubbing her body affectionately against your legs? It’s your cat’s way of letting you know that you rank higher than her in the household hierarchy. Cats rub against their companions to mingle their scents and reinforce their bond. A cat’s social standing can be measured by how often other cats rub against her. Cats higher up the hierarchy are rubbed against a lot, while lower ranking cats do most of the rubbing. So as you observe your own little house lions, take note of the feline social hierarchy within your household. Understanding it can prove useful in resolving behavior issues like inappropriate marking or territorial disputes between your cats. The napping tabby at the end of your couch sees himself as a fierce lion protecting his territory at the north end of the living room. Understanding that role can help you preserve household harmony. This entry was posted in cat familes, heirarchy on December 26, 2012 by yourfriends. In this era of mommy confessionals, I must admit: I am not a pet person. With their allergic father, I have reared three children without benefit of in-house canines, felines or invited rodents. But with researchers beginning to focus on children and pets, I find myself interested, though occasionally cynical or defensive. Pediatricians are asked pet-related questions all the time. What’s the right age to care for a pet? The best way to discuss a pet’s demise? Do we get rid of the cat if one child is allergic to him? Will the dog bite the baby? For such a tremendously widespread phenomenon as pet ownership, there has been very little research to steer by. But now researchers are looking at a range of questions, in normal child development, in childhood obesity, in traumatized children and in autism. Dogs, you might say, are having their day. The research is still limited, but the questions are intriguing, as scientists bring rigor to the study of emotional and psychological effects of pet ownership, along with traditional pediatric concerns of allergies, bites and infections. “There is evidence that some individual kids seem to benefit from their relationship with these animals,” said James Serpell, director of the Center for the Interaction of Animals and Society at the University of Pennsylvania. “Everyone wants to know what the mechanism is.” Many families acquire pets in the first place for the children’s sake, said Alan Beck, director of the Center for the Human-Animal Bond at Purdue University. “Why do you have an animal? A high percentage, because they believe it’s good for the kids — and it looks like it is, to some degree.” There’s a common conviction, for instance, that living with a pet teaches children skills they can use in their social interactions with other humans. “The belief is that maybe animal-owning children are a little bit more aware unconsciously, have learned nonverbal communication,” Dr. Beck said. Gail F. Melson, emerita professor of human development and family studies at Purdue, cautions that cause and effect may go in the other direction. Maybe children with greater empathy skills are more likely to develop relationships with animals. 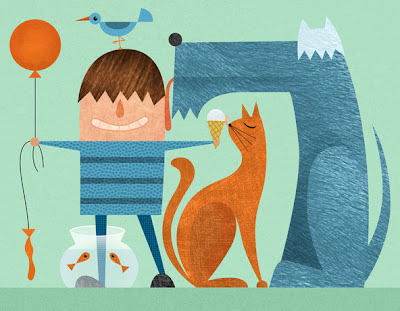 The hope that children may learn empathy and communication skills from animals has led to speculation about pets in the lives of people with autism. Some children who have great difficulty with human social interactions can form deep bonds with animals. “There is some evidence, but it’s largely anecdotal, that bringing a dog into these households has a dramatic effect on the behavior of these kids,” Dr. Serpell said. Other experts are trying to look objectively at the increasingly widespread practice of using dogs to calm or comfort children in stressful situations, usually medical or legal. Rebecca Johnson, director of the Research Center for Human-Animal Interaction at the University of Missouri, has begun a randomized clinical trial, financed by the National Institutes of Health, of children undergoing forensic interviews for child abuse; some are given a service dog during their interviews, and physiological indicators of stress are measured. “A lot of cities and municipalities are using service dogs in courtrooms for children,” she said. “I really want to identify whether it’s a stress reducer or not.” With so many children struggling with obesity, dog-walking is being investigated as a strategy to increase exercise in children — as some studies have shown it can do in adults. “This is a highly motivating physical activity, when children walk with a dog,” Dr. Johnson said. This is a departure from the scant discussion of pets decades ago among pediatric researchers, who tended to focus on risks. A 1965 commentary in the journal Pediatrics, “Pets, Parasites, and Pediatrics,” claimed that “40 fairly frequent infections of children in this country” could be acquired from animals. And the advice that doctors have given can be based on personal prejudice, not evidence. In a study done in the 1980s of allergists, for example, those doctors who didn’t own pets were more likely to tell the families of allergic children to give up the animals. The connection between pets and allergies turns out to be particularly complex. Quite a few studies now suggest that early exposure to animals may have a protective effect. A recent review article that examined a large number of studies found evidence that in children with no family history of allergy, those exposed to dogs in the perinatal period may be less likely to develop allergies. Pets affect so many children in so many ways — immune systems, developing social skills, exercise patterns, family circumstances. The effects may be positive, but it’s also true that families who choose to add a pet to the mix may be those who feel at least a small margin of comfort in income, living space and —perhaps above all, as I look at my own deficits — family organization and infrastructure. The strongest evidence of the importance of pets, Dr. Melson said, comes from children themselves, who often cite pets as sources of emotional support. “The animal is available when you come home from school,” she continued. “Some species will give you at least the illusion of unconditional acceptance — at least, if you have a treat in your hand.” At the same time, researchers invoke a range of less quantifiable but clearly important effects. Growing up with a pet “gives children a much more inclusive sense of self,” Dr. Serpell said. “I think it has implications for the relationship of people to the other beings on the planet. This entry was posted in children, enrichment on December 19, 2012 by yourfriends. Pet-lovers these days aren’t just tweaking their homes to accommodate their animals; some aren’t happy until their entire home is a pet playground. The good news is that being a barking mad bloke or a crazy cat lady is getting a lot more stylish. Architects, interior designers and furniture makers are increasingly moving into the lucrative market of the pet-crazed. If you’d like to build a dog-house with airconditioning, heating and hot-and-cold running water, American websites are a goldmine for pet-pampering tips. Photos of the Walker’s cats in their pussycat paradise. Photos from The Cats’ House book by Bob Walker. There are also some brilliant examples from Japan. They may be zany, but these websites also offer some stylish solutions to common pet problems; and with a bit of ingenuity, they won’t cost the earth. Pet furniture, for example, no longer needs to be an afterthought or an eyesore, while pet-friendly features can be attractive and tastefully integrated into your home. Taking things a little further, why not try some bespoke furniture – and don’t forget to add pet requirements into the architect’s design brief for your next reno or build. Scratching posts and “cat house” hidey holes have moved from kitsch eyesores to the status of real furniture. Visitors to your home won’t immediately see the disturbing lengths you have gone to for your cats. Indoor-cat owners will love the idea of furniture to hide litter trays. Clever disguises include side tables, baskets and even large faux potted plants. If you can’t find a purpose-built litter tray disguise or an attractive cat climber, try the time-honoured “Ikea hack”. The Ikea Hackers website is filled with brilliant ways to coax all manner of creature comforts out of Ikea products. Modifications include ideas for wall-mounted perches and furniture for climbing, scratching and (of course) peeing. Ikea hacker, Cave Lion’s “Billy” Cat climbing shelf hack in action. American designer Akemi Tanaka has created a stylish way of allowing your cat to display itself among your other artworks. Tanaka’s “Curve” is a wall-mounted, softly-padded display pedestal where your fab feline can pose in comfort, blending seamlessly with other wall-mounted artwork. At $US200 ($185) for the Curve, you would hope so. The Cats’ House seen here under construction. The Walker’s cats carefully supervised all building works. Photo from The Cats’ House book by Bob Walker. For those that want to take it further – a lot further – a book by Bob Walker details how he transformed his home into pussycat paradise. Walker has built steps and ramps that wind up and around rooms. There are holes in many walls for his fur family to duck between rooms; they even have access to the roof space above his ceilings. The motto on Walker’s website is: “Where ‘good enough’ is not enough for our feline family!” His home boasts “140 feet of elevated highway” that crisscross overhead. And with his his dazzling colour scheme in that mix, The Cat’s House must be seen to be believed. 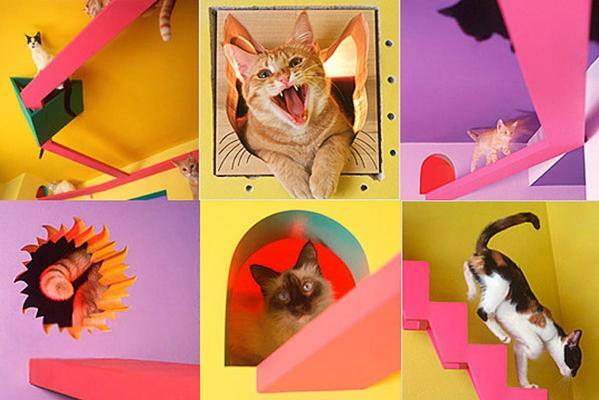 At the most extreme end of cat-friendly accommodation are homes designed from scratch, with ramps, steps, perches, playrooms, secret spaces and ceiling-high catwalks all seamlessly woven into the design. Two Japanese designers have delivered surprisingly inoffensive, even elegant results. Architects Fauna +DeSIGN were commissioned to create a paradise for 16 cats and a home for their owners and five dogs. Designer Asahi Kasei had fewer “clients” but also created kitty heaven on earth. Both homes provide endless vantage points for the cats to survey their territory. There are obstacles to negotiate, allowing the cats to exhibit great feats of agility, perches on which to display themselves and places for discreet supervision of their human companions. Dog-lovers, your faithful friends haven’t been forgotten. As dogs tend to be larger and somewhat less agile than cats, they don’t get quite the same run of the house. Much of the focus is on outdoor dog houses, but there are plenty of clever options for indoor dogs too. Most interior modifications are limited to ground level; items such as benches, cupboards and the lower levels of bookcases have become new dog-friendly spaces in today’s homes. These aren’t necessarily just indulgences either. There are some cunning ideas, such as low shelves to tuck food bowls away from foot traffic, or even using bottom drawers to hide bowls when not in use. Dogs love being part of the action, but their knack of being underfoot can be annoying and even dangerous. To counter this, beds are getting the same treatment as those for cats, becoming incorporated into more stylish items of furniture, such as side tables for small dogs or coffee tables for larger ones. Builders and architects are unleashing themselves on homes all over the US. Kitchens get bed areas under bench tops, laundries have purpose-built dog baths and showers and lounge rooms are being fitted with discreet dog flaps tucked into bookshelves set against exterior walls. For a bit of doggy DIY, Barkitecture is a must. This book will supply endless ideas on ways to pamper your pooch. There are lots of photos and “a witty, tongue-in-jowl commentary”, according to the author, Fred Albert. Elsewhere, a clever inventor has created what they call the Pet Peek. It’s a domed porthole that punches views through fences, connecting dogs to the world outside the backyard. No more frustrated barking at indeterminate noises emanating from the unknown. Dogs can now have a proper, focused bark at things they can actually see. Beyond The Crate takes pooch pampering to a whole new level, with their watchword being “If your home just isn’t good enough… build them their own”. Two seriously spoiled dish-lickers have a “Celebrity Hacienda Dog House” which set their owner back $US30,000. Without the exact specs of this pooch pad, Beyond The Crate’s website notes that the “extensive list of available amenities includes running water, lighting, air conditioning and heating”. As for celebrity extravagance, the $30,000 Rachel Hunter dropped on her dogs’ “Hacienda” pales into insignificance after you see – yes, you guessed it – Paris Hilton’s mind-boggling excesses. Her little darlings have a 28-square-metre, $325,000 mansion modelled on her own Beverly Hills home. Their two-story digs not only cost more than a lot of people’s homes, Hilton designed it with the assistance of her interior decorator. This monument to extreme wealth and the lack of even the slightest grip on reality is fitted out with chandeliers, airconditioning, a staircase, balcony, beds, a wardrobe full of outfits and what looks like a bizarre miniature nightclub area set up for pole dancing. The renowned American architect and designer of Canberra, Walter Burley Griffin, was a man before his time in many ways, especially if one considers his design of the Fishwick House in Sydney’s Castlecrag. This 1929 house had two fishponds with glass bottoms, suspended from the ceiling of the dining room. But the design must have turned out to be impractical – who would have guessed – and they were replaced by skylights in the 1930s. For a less radical but only slightly less impressive fishy feature, try the sleek Hanging Space Aquarium from America. These slim-line tanks hang from the ceiling giving a full walk-around view of their scaly inhabitants. According to one distributor, Opulent Items, the fluorescent light placed on top of the frame makes the whole set-up glow, “thereby embellishing the ambience” of your home. The aquarium’s filtration system is neatly concealed within the stainless steel tube frame or located many metres away in a more convenient location. It’s certainly expensive – the large model is $US8500 – but for stylish fish-lovers it’s an attractive option. Singer Jay-Z’s former New York City residence – a $US31 million penthouse – featured some. There is no limit to the creativity of tank design, from the elegant wall mounted types to a rather unsettling bathroom vanity style. The Aquarium Sink is just $US4,500 and the site says they can have one shipped over here in no time. You will need a plumber to install it and the lighting and pump need electricity too. We wonder if the fish become distressed when water gurgles down the plughole at the centre of their domain. For people who share their homes with other types of pets, from the standard to the startling, you have not been forgotten. Those ingenious Ikea hackers have been beavering away to accommodate all kinds of creatures in a style worthy of their place in your heart. For the less DIY minded, consult your local pet store, the internet, a builder or an architect. Remember, they aren’t just pets, they’re people too. This entry was posted in homes, Pet obscessed on December 5, 2012 by yourfriends.